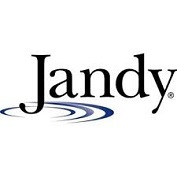 AUTHORIZED DEALER AND WARRANTY STATION FOR ALL PENTAIR AND ZODIAC JANDY SUPPORT EQUIPMENT! We Specialize in Pool Care, Pool Repairs, Pool Renovations, Pool Resurfacing and Remodels. We provide repairs or replacements to all brands of support equipment. We offer weekly pool/spa maintenance programs for residential, vacation rentals and commercial properties. State of the art pool and spa remodels and renovations. Just amazed. Another company had given me a long song and dance about needing to replace pumps, heater, pretty much everything. I checked the manufacturers website to find a local dealer, and then got in contact with Pool Care Solutions. The pump just needed a gasket, and some maintenance work was needed -- that was all. They looked up the equipment warranty information and took care of it all - snap! I needed to have the pool replastered and tiled and they took care of it all -- quickly and efficiently and no drama at all. I now have a beautiful pool, all the equipment works correctly and life is good! Pool Care Solutions is terrific. First, they upgraded our old hand held Pentair pool controller to an iPhone/laptop version which is much easier to use to monitor functions and change settings for the pool and spa. He did all the set-up programming - and is extremely knowledgeable of the system. The training he gave us was quick, clear and simple. Next, his team replaced old leaking copper pipes running to/from the equipment and pool with new PVC pipes plus upgraded the skimmers and autofills. This was not a simple job given all the obstacles (sprinklers, lighting, concrete pads & planters, etc) that had to be trenched around. But it was done flawlessly and the finish work to top off the trenches with sod was stellar. Lastly, the pool temperature sensor malfunctioned. Not surprisingly, it was replaced the very next day after merely sending a quick email. Bottom line, they expertly handle a wide variety of pool/spa repair issues and do it in a professional and responsive manner. It's top-notch service. These guys know how to run a pool service business. Called them and talked to Chris about an issue. 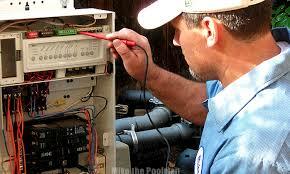 Next day a professional repair person came as scheduled and identified the problem promptly. I had a repair quote within 30 minutes and the repair completed within a couple of hours. These guys ROCK! 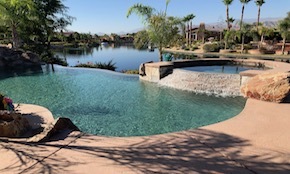 Pool Care Solutions is your go to company for Palm Springs, Rancho Mirage, Palm Desert and Indian Wells. pool equipment repairs. 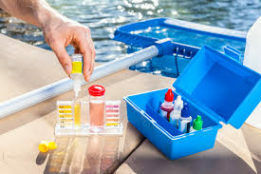 Whether you're looking for pool pump repairs, pool filter repairs, pool heater repairs or salt system or automation pool control system repairs, we've got you covered. Looking for pool service? We offer a variety of pool services depending on your conditions. In addition, we provide the professional pool service and pool repairs required by vacation rental properties. Does your pool need to be remodeled? We specialize in plaster or pebble finishes, new coping, tile and decking. Best of all, after your pool renovation we can take over service of your pool! 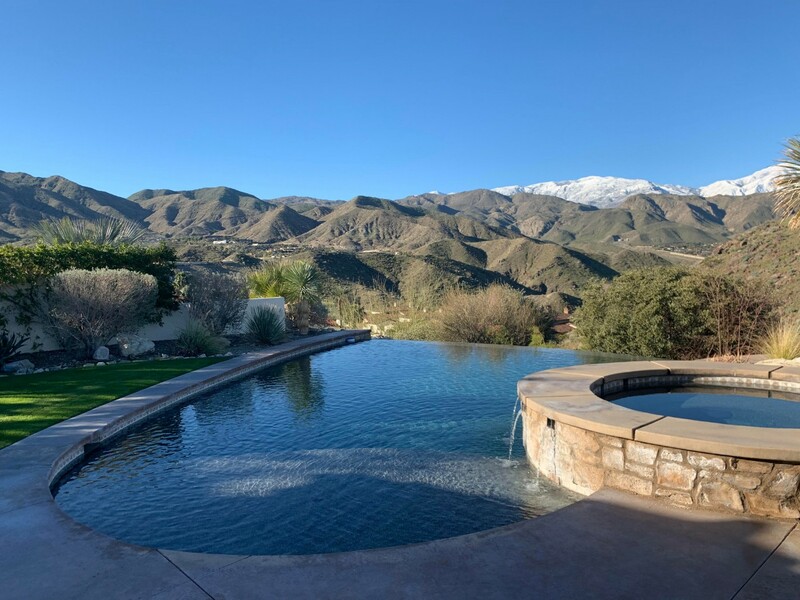 Our business has grown from a few residential and commercial customers to one of the largest pool service and repair providers in the Coachella Valley. This growth has come from our satisfied customers and their referrals. We take great pride in earning their business and respect each & every day!